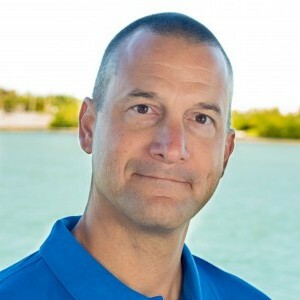 Based at The Elizabeth Moore International Center for Coral Reef Research & Restoration in Summerland Key, Florida, Mr. Bartels has worked on projects related to coral reef research, monitoring, and restoration for the past 18 years. Kuffner, I.B., E. Bartels, A. Stathakopoulos, I.C. Enochs, G. Kolodziej, L.T. Toth, and D.P. Manzello (2017). Plasticity in skeletal characteristics of nursery-raised staghorn coral, Acropora cervicornis. Coral Reefs. O’Donnell, K.E., Lohr, K.E., Bartels, E., Patterson, J.T. (2017). Evaluation of staghorn coral (Acropora cervicornis, Lamarck 1816) production techniques in an ocean-based nursery with consideration of coral genotype. Journal of Experimental Marine Biology, 487, 53-58. C. Drury, K. E. Dale, J. M. Panlilio, S. V. Miller, D. Lirman, E. A. Larson, E. Bartels, D. L. Crawford and M. F. Oleksiak (2016) Genomic variation among populations of threatened coral: Acropora cervicornis. BMC Genomics, 17:286. Hill, M., C. Walter, and E. Bartels (2016) A mass bleaching event involving clionaid sponges. Coral Reefs, 35(1): 153. Vaughan, D. and E. Bartels (2012). Coral Propagation can produce large numbers of coral transplants, In: Kruczynski, W.L. and P.J. Fletcher (eds.). 2012. Tropical Connections: South Florida’s marine environment. IAN Press., University of Maryland Center for Environmental Science, Cambridge, Maryland. 492 pp. Johnson, M.E., C. Lustic, E. Bartels, I.B. Baums, D.S. Gilliam, L. Larson, D. Lirman, M.W. Miller, K. Nedimyer, and S. Schopmeyer (2011) Caribbean Acropora Restoration Guide: Best Practices for Propagation and Population Enhancement. The Nature Conservancy, Arlington, VA.
Schopmeyer, S.A., D. Lirman, E. Bartels, J. Byrne, D.S. Gilliam, J. Hunt, M.E. Johnson, E.A. Larson, K. Maxwell, K. Nedimyer, and C. Walter (2011) In Situ Coral Nurseries Serve as Genetic Repositories for Coral Reef Restoration after an Extreme Cold-Water Event. Restoration Ecology. Lirman, D., S. Schopmeyer, D. Manzello, L.J. Gramer, W.F. Precht, F. Muller-Karger, K. Banks, B. Barnes, E. Bartels, A. Bourque, J. Byrne, S. Donahue, J. Duquesnel, L. Fisher, D. Gilliam, J. Hendee, M. Johnson, K. Maxwell, E. McDevitt, J. Monty, D. Rueda, R. Ruzicka, and S. Thanner (2011) Severe 2010 Cold-Water Event Caused Unprecedented Mortality to Corals of the Florida Reef Tract and Reversed Previous Survivorship Patterns. PLoS ONE 6(8): e23047. Zepp, R.G., G.C. Shank, E. Stabenau, K.W. Patterson, M. Cyterski, W. Fisher, E. Bartels, and S. Anderson (2008) Spatial and temporal variability of solar ultraviolet exposure of coral assemblages in the Florida Keys: Importance of colored dissolved organic matter. Limnology and Oceanography. 53(5): 1909-1922. Cervino, J.M., F.L. Thompson, B. Gomez-Gil, E.A. Lorence, T.J. Goreau, R.L. Hayes, K.B. Winiarski-Cervino, G.W. Smith, K. Hughen, and E. Bartels (2008) The Vibrio core group induces yellow band disease in Caribbean and Indo-Pacific reef-building corals. Journal of Applied Microbiology. 105(5): 1658 – 1671. Neeley, M.B., E. Bartels, J.P. Cannizzaro, K.L. Carder, P. Coble, D. English, C. Heil, C. Hu, J. Hunt, J. Ivey, G. McRae, E. Mueller, E. Peebles, and K. Steidinger (2004). Florida’s black water event, In: Harmful Algae 2002, Steidinger et al., eds., Proceedings of the Xth International Conference on Harmful Algae, Florida Marine Research Institute, Florida Institute of Oceanography, UNESCO, St. Petersburg, FL, pp. 377-379. Stabenau, E., R.G. Zepp, E. Bartels, and R.G. Zika (2004) Role of seagrass (Thalassia testudinum) as a source of chromophoric dissolved organic matter in coastal south Florida. Marine Ecology Progress Series. 282:59-72. Hu, C., F.E. Muller Karger, Z. Lee, K.L. Carder, B. Roberts, J.J. Walsh, C. Heil, P.G. Coble, K. Steidinger, G. McRae, R.H. Weisberg, R. He, E. Johns, T. Lee, B. Keller, N. Kuring, J. Cannizzaro, J. Ivey, G.A. Vargo, R.G. Zepp, J. Boyer, R. Jones, G. Kirkpatrick, R.P. Stumpf, E. Bartels, E. Mueller, R. Pierce, J. Culter and J. Hunt (2002) Satellite images track 'black water' event off Florida coast. EOS. 83(26):281 285. Anderson, T.W., C.T. Bartels, M.A. Hixon, E. Bartels, M.H. Carr, and J.M. Shenker (2002) Current velocity and catch efficiency in sampling settlement stage larvae of coral reef fishes. Fisheries Bulletin. 100(3):404 413.